Wonderful tracks, wonderful sound....wonderful playing Joe! We share the passion for this superb musical instrument, and is great pleasure for me to hear him play by a great musician like you! Thanks for the Hammond Album! It's such a beautiful sound and you play it so well! Love this great instrument! Great tracks here, JM! 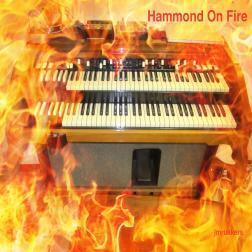 Very cool collection of hammond tracks! Love every one them! Way cool to be part of it too!